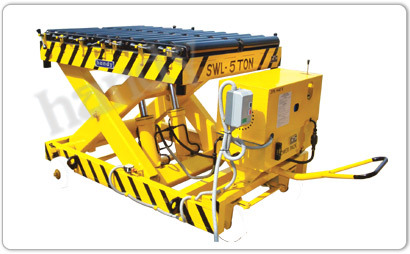 “handy” Hydraulic Scissor lifting Die Loader has been designed to meet the growing demand for a low priced lifting Die-Loader table that offers high quality, reliability and ease of handling. With diverse product range in the modern age the importance of complicated and heavy but delicate dies is ever increasing. 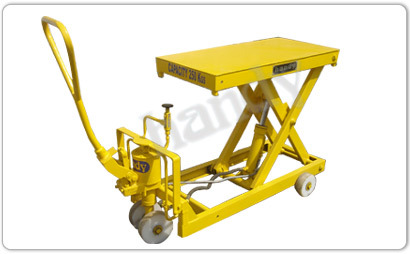 Accordingly more accuracy in placing the dies at a comparatively higher pedestal of the press is required. 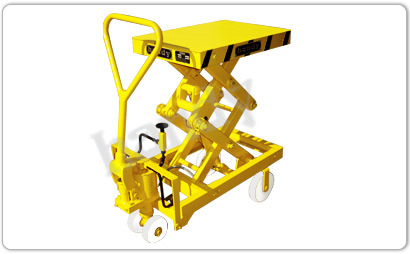 For this purpose die loader has been designed and produced to give excellent maneuverability. 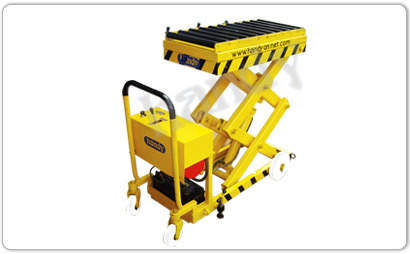 In case of delicate but heavy dies, particularly, rollers are also provided on the table top and similar rollers set is placed on the press so that the die is smoothly rolled on to the press. After the die is placed on the press, the rollers on the press are removed. 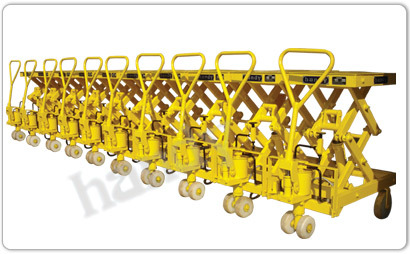 The die loader is supplied in three versions i.e. 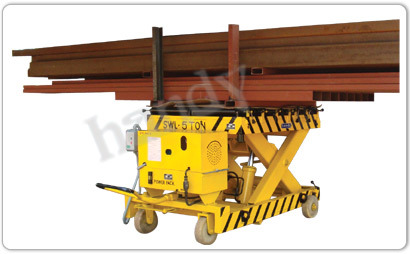 hand operated as power operated and battery operated lifting depending upon the size and the weight of the die and frequency of operation.